Today we have the Sony Xperia XZ3 stock wallpapers in 4K resolution. Sony is back at it again just four months since the release of its last flagships, the XZ, and the XZ2 Premium. The Japanese manufacturer has announced the next called the Xperia XZ3 which sits somewhere between the XZ2 and the XZ2 Premium. Despite the flaws, Sony has always made gorgeous looking phones. They’ve also been good at making beautiful wallpapers for these devices. 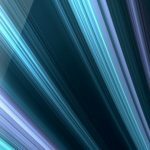 We now have our hands on the Xperia XZ3 stock wallpapers and you can download them from below. The Xperia XZ3 is very much an incremental update over the XZ2 which has been Sony’s way of doing things for a long time. Sony is betting big on the display of the Xperia XZ3 to entice buyers. The new flagship from Sony has curved display edges which is very Samsung Galaxy-esque. There’s also a minor design shift in that the XZ3 is a more rounded device that any previous Xperia flagships. The screen’s sides are prominently rounded like the Samsung Galaxy S9, Pixel 2 XL, the LG G7, the OnePlus 6 and many other devices out there. The back of the phone looks very similar to if not the same as the XZ2. The design is not the only thing that’s slightly changed. Sony has also ditched its love of IPS LCD panels. The XZ3 features a 6-inch vibrant OLED panel with 18:9 aspect ratio, QHD+ resolution, and HDR. The company also claims to have worked with their Bravia team to bring over their prowess in display technology onto the smartphone. So long Sony, so long. With those efforts and Sony’s several patented display technologies, the display on the XZ3 is definitely not going to be disappointing. As you’d expect from a flagship device in this time of 2018, the XZ3 is powered by the Qualcomm Snapdragon 845 SoC. Unlike most flagships these days Sony went with 4GB of RAM and 64GB of storage which isn’t bad given Sony’s software implementation. Unlike many other OEM flagships, Sony’s run a much more stock Android-like software with a touch of Sony. This keeps things generally fast and fluid. Moreover, out of the box, Xperia XZ3 ships with Android 9.0 Pie which gives it some edge over other flagships coming out with Android Oreo even now. There’s also an HTC sense like Side sense now. Instead of squeezing, you can just double tap on the sides and a little pop up appears with app icons that you may need. It is, of course, powered by AI, but the double tap is seemingly not quite consistent. It certainly needs improvements. You can also disable the AI features and manually add app icons to side sense. The rear of the device houses a single 19-megapixel sensor with Motion Eye. It can shoot slow-motion video at up to 960fps at 1080p. A 3300mAh battery powers all of this. The entire package is IP65/ 68 certified and it also supports wireless charging. No matter what you think of Sony’s smartphones or their larger than usual bezels, the company has always been good at design. And that also holds true for their wallpapers. 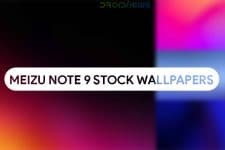 Stock wallpapers from Sony Xperia devices are some of the most sought after wallpapers at least according to the numbers we see at DroidViews. Personally, I have found every new pack of stock wallpapers from Sony to be less and less appealing but the download numbers here tell a different story. 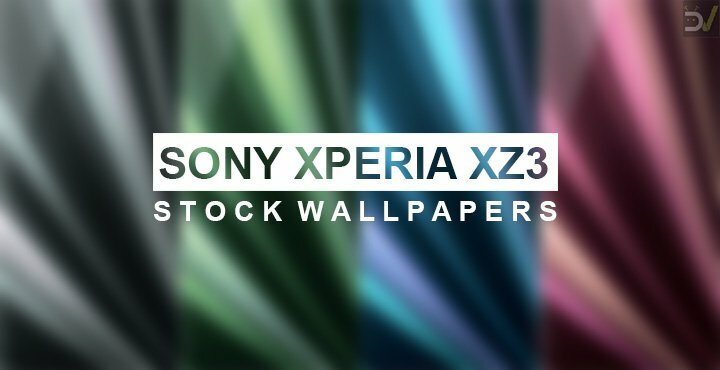 The Sony Xperia XZ3 stock wallpapers pack contains five wallpapers that are pretty much the same except in colors. This is how Sony has always done things when it comes to designing wallpapers. 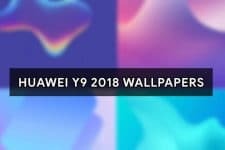 The wallpapers all have a resolution of 2366 x 5113 pixels. The images shown below have been compressed and resize to reduce page loading times. These are not the full sized wallpapers. We’ve packed the original wallpapers in a zip file that you can download from the link below.